Students and civil servants in China's far western region of Xinjiang have been ordered not to take part in fasting during the Islamic month of Ramadan. Statements posted on July 2 on websites of schools and government agencies say the ban aims at protecting students' wellbeing and preventing the promotion of religion in schools and government offices. Statements on the websites of local Communist Party organizations said members of the officially atheist party also should not fast. Courts in the Kashgar area of the western Chinese region of Xinjiang have sentenced 113 people to prison terms for a wide range of crimes, including organizing and taking part in terrorist organizations, according to a state media report from Xinjiang. 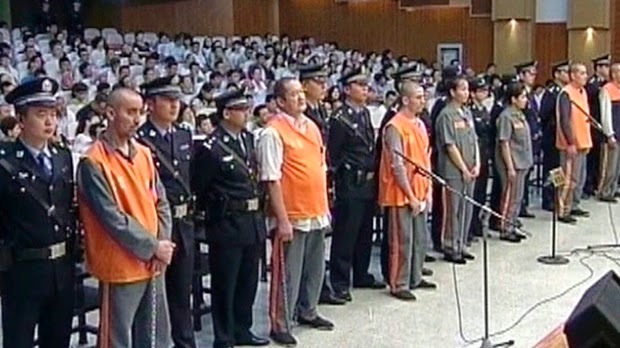 Four of the people were given life sentences, and the prison terms for the others varied. The report, which was posted online Sunday afternoon, also listed other crimes among the violations: inciting ethnic hatred, harboring criminals, bigamy, drug trafficking and possession, and attempting to destroy evidence. Pakistani jets bombed militant hideouts in a North Waziristan tribal agency on Saturday, killing scores of Uzbek and local insurgents in a massive ongoing offensive against the Taliban, the military said. "Most of the terrorists killed in strikes were Uzbeks," the statement added without providing casualty figures. The Islamic Movement of Uzbekistan (IMU), an Al Qaeda affiliate, has had a large presence in tribal belt since the US-led invasion of Afghanistan in 2001. A local news service reported that the suspected militant hideouts in Daigan, Poikhel and Muhammadkhel areas were targeted and destroyed during the airstrikes. So far, more than 400 suspected militants – mostly foreigners – have been killed during the operation. According to Kyrgyz and Russian press reports, 39 Chinese migrants downed tools, blocked entry to the facility and took several Kyrgyz employees hostage on June 30. Police fired shots into the air to break up the protest, according to a police source. Twenty-five of the migrants were working illegally, police say, and have been deported. The rest have been fined. The riot coincided with payday and the Chinese appear to have felt shortchanged. According to Kyrgyz media outlet Knews, citing local police in contact with the refinery’s Chinese director, the migrants were angered that pay was being withheld to cover the cost of their transport from China. Russia is ready to proceed to discussion of practical issues on further expansion of cooperation and strengthening of the armed forces of Tajikistan, Minister Shoigu said. Tajik Defense Minister Sherali Mirzo thanked Russia for provided assistance and invited Defense Minister Sergei Shoigu to make official visit to Dushanbe. “I am grateful for our cooperation. Two problems I find strategic are the problems of the base we have resolved positively and modernization of the Armed Forces of Tajikistan,” Minister Sherali Mirzo said. Estonian Embassy in Astana will represent NATO in Kazakhstan starting from January 1, 2015, Tengrinews reports citing RIA Novosti. Estonia will acts as NATO’s representative for two years. According to the Minister of Foreign Affairs of Estonia Urmas Paet, Central Asian countries are important partners for NATO. “In response to the recent changes in the realm of security and the end of the Afghanistan mission, it is important to develop friendly relations with Central Asian countries. In this regard, Estonia can act as a secure bridge in NATO and Kazakhstan relations,” Paet said. Paet believes that designation of Estonia for the diplomatic role in Central Asia testifies of trust of the North Atlantic Alliance to Estonia. 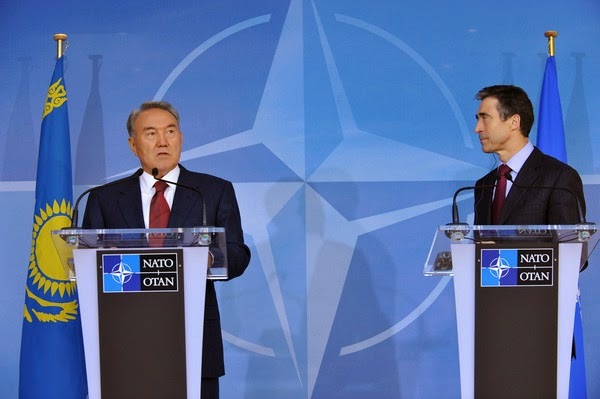 “The main goal of the embassy is to popularize the work and plans of NATO and strengthen relations with the host country (Kazakhstan),” the Minister added. The seventh round of negotiations on the new agreement on expanded partnership and cooperation between Kazakhstan and the European Union was held in Brussels, according to the press service of the Kazakh Foreign Ministry. "Kazakhstan and the European Union reaffirmed their interest in conclusion of agreement in the least time possible designed to expand and upgrade the existing agreement on partnership and cooperation signed in 1995," the report said. The increased strategic interest in Kazakhstan once again noted in Brussels as a regional power, while stressing that the country is the only country in Central Asia, with which the European Union is negotiating on the agreement of the second generation. The Russian Central Bank is considering creating a payment system that would extend across the Customs Union of Russia, Belarus and Kazakhstan, a senior Central Bank official said Wednesday at a banking conference in St. Petersburg. "We are discussing this issue within the Customs Union and it would be interesting to implement this project together with our partners from Kazakhstan and Belarus," said Georgy Luntovsky, the regulator's deputy head. Luntovsky declined to give a time frame for the system's implementation across the Custom Union, but said he believed it "would be executed." A broad range of Azerbaijani oppositional forces have urged the government to promptly sign the association agreement with the European Union. At the same time, they expressed their negative attitude to the prospect of Azerbaijan's accession to the Eurasian Economic Union (EAEC). About 100 Azerbaijani representatives of political parties, civil society activists and media professionals have adopted a document entitled "Declaration on Azerbaijan's attitude to the Association Agreement with the European Union". Today, the office of the U.S. National Democratic Institute in Baku was officially closed, according to informed sources in Washington. In fact, the Office ceased to function in March, after the authorities accused this structure of financing subversive youth against the government of Azerbaijan. In particular, the head of the presidential administration, and previously, the law enforcement agencies have stated that with money from the NDI youth groups prepared in Azerbaijan the analogue of the "Arab Spring." The NDI representative in Baku, Alex Grigorevs, was declared the chief "saboteur", and the government was so afraid of him, that banned his return to Baku and pick up his personal belongings and dog. A number of sites working for the Azerbaijani authorities "suddenly" got copies of bank documents proving that the representative of NDI debited during the year about 2 million dollars. Those sites who call themselves human rights, argued that money was sent to facebook revolution in Azerbaijan. Irrefutable "proof", according to the authors of publications, was that NDI has provided a grant for the youth organization NIDA, seven members of which were arrested and announced the organizers of the failed revolution. Chinese State Councilor Yang Jiechi met Azerbaijani Foreign Minister Elmar Mammadyarov in Beijing on Tuesday, and both agreed to boost China-Azerbaijan ties. Calling the two countries good friends and partners, Yang said they have maintained sound momentum in the development of diplomatic ties since their forging, citing enhanced political trust, fruitful cooperation and strengthened friendship. Mammadyarov, for his part, said Azerbaijan attaches great importance to its ties with China, and firmly supports China on issues regarding Taiwan, Tibet and Xinjiang Uygur Autonomous Region. Azerbaijan hopes to beef up cooperation with China in all fields, he said.